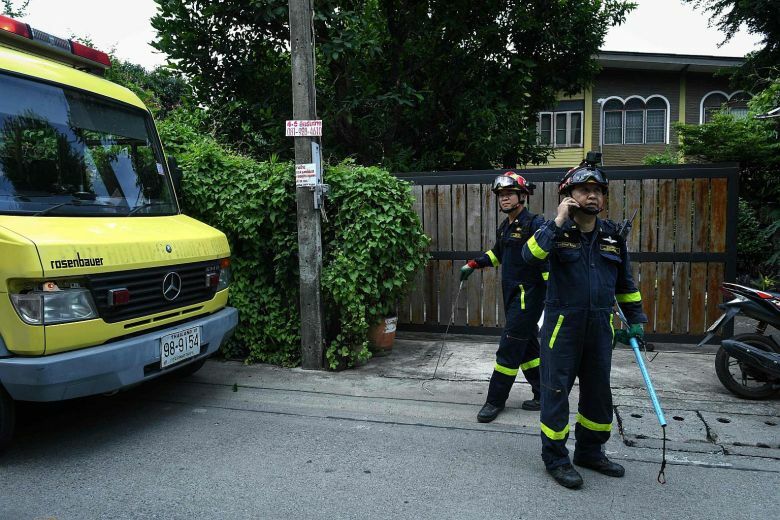 BANGKOK - A fire department in northern Bangkok has not received a call for a fire since June. But for trapping a slithery foe? There is a 24-hour hotline. 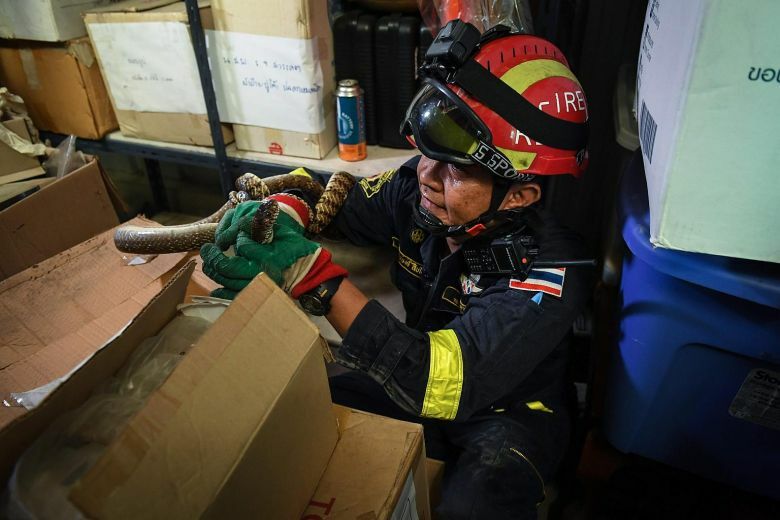 "The work (catching snakes) is quite a lot," said Mr Suraphong Suepchai, a 46-year-old firefighter working in the Thai capital's Lat Yao district. Snakes are a common sight in Bangkok, a bustling city built on once-swampy land, and it is not unusual to see them slithering across public spaces like parks, water canals and schools. The calls to Mr Suraphong's fire department increase during the rainy season after new hatchlings are born. If venomous snakes are caught during their calls, they are taken to the Bangkok Snake Farm near the centre of the city. As for harmless snakes, Mr Suraphong said he tries to explain to people that it's good to have them around to keep a balanced ecosystem. During one of the sessions, residents armed with thick gloves attempted to subdue a harmless garden snake - or a hissing cobra - as it jabbed at them abruptly. "They're not as dangerous as I thought," said Mr Kanoksak Preechakorn, 42. "Now that I know the catching techniques, we don't need to kill them." Wrangling pythons was not what Mr Suraphong expected to be doing when he started working at the station, but he is thankful that fires rarely occur in his district.